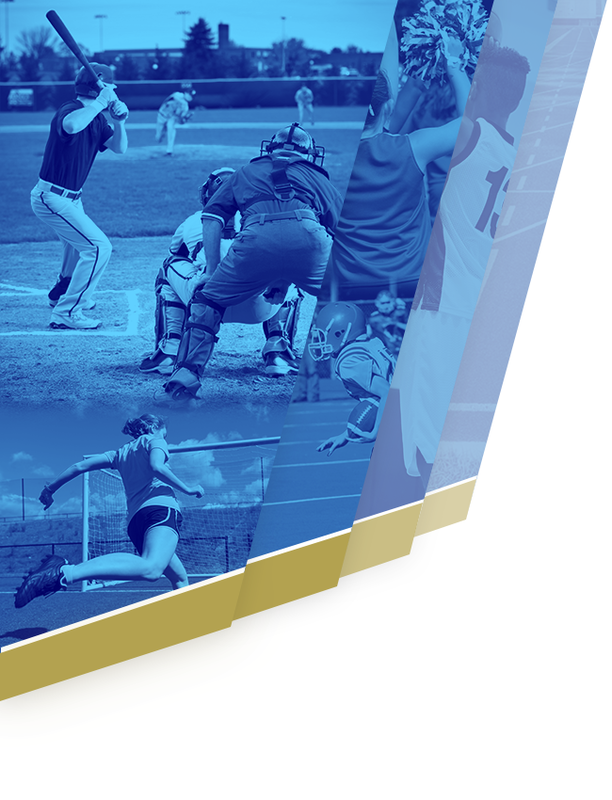 Boys Varsity Football · Sep 10 Fall–Football–Wildcats Take The Win over Overton 14-7. 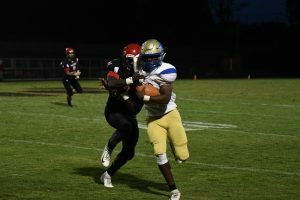 Friday night Sept 7th proved to be a “CAT FIGHT” between Wilson Central (Wildcats) and Overton High School (Bobcats). The Wildcats left Overton with their spirits high as they took the win, 14-7. Towards the end of the first quarter, it began to sprinkle which quickly turned into heavy “monsoon”. The players continued to play but lighting started to light up the distant sky shortly thereafter, calling for a weather delay with 2:49 left in the first half. The coaches rushed their teams into the locker rooms while families and students took shelter in their cars. The weather delay stayed in effect until the rain died down, meaning the game was momentarily at a stand-still for just over an hour. While the delay was in effect, coaches of Wilson Central continued to practice with our players on what to do in order to get the win. 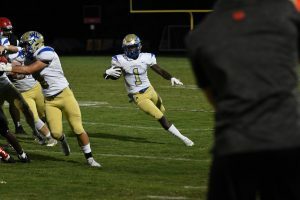 Shortly after the weather delay was lifted, the players returned to the field buzzing with new found energy playing out the rest of the half only to be sent back to the lockerroom for an abbreviated halftime. The Wildcats wasted little time in scoring as Garrett Todd, with 11:24 showing on the clock bolted around right end for 57 yards into the end zone. The PAT was kicked by #22 Ezra Widelock but was unfortunately blocked leaving the score 6-0. 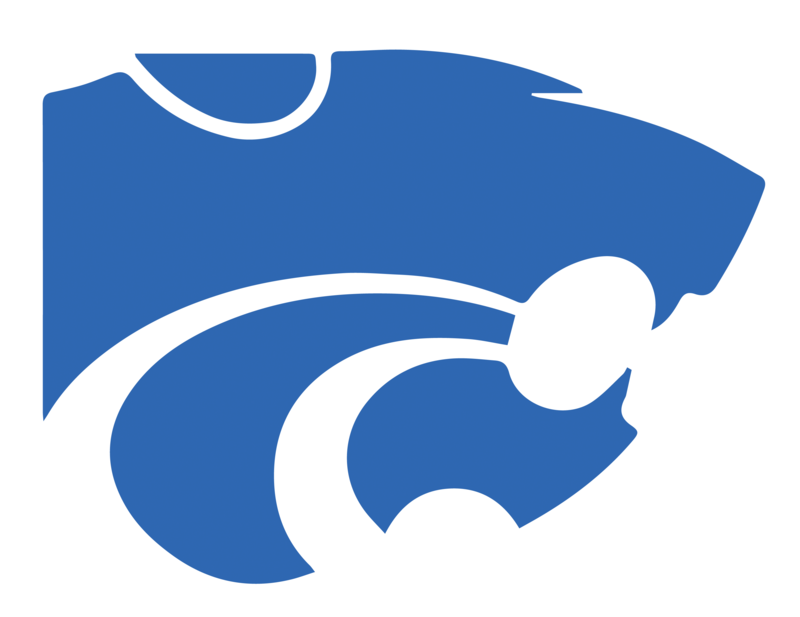 Throughout the muskiness and humidity, the Wildcats found a way to score another touchdown as #6 Dylan Carpenter ran for 19 yards with 07:28 left in the quarter as Carpenter ran for the two point conversion making the score 14-0. Overton’s only score of the night came from Quarterback Sam Mast who ran in from the 1 yard line to make the score 14-7 after David Kee’s PAT and was good. As the game ended at 10:15pm the Wildcats took home the win and improved their record to 1-3. 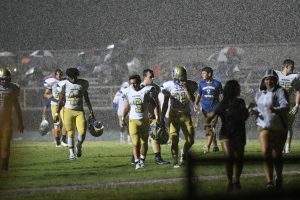 The Wildcats gave The Bobcats a run for their money and in the end all their hard work was put to the test in this difficult weather plagued game. The Wildcats now prepare for their next game on August 14th against their biggest rival, Mount Juliet who has yet been beaten. 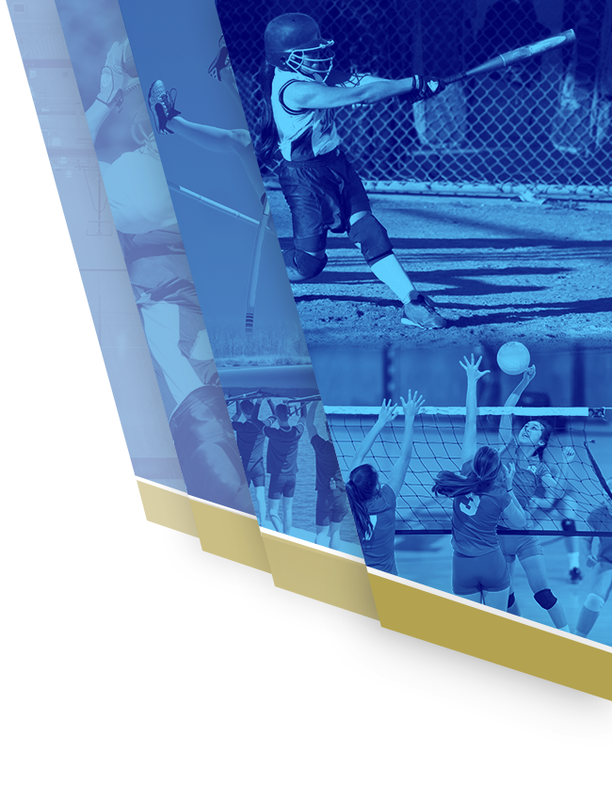 The game will take place at Wilson Central High School and will begin at 7pm Friday night. Come out and support your Wilson Central Football team.